What made you visit _____ church? The sermon series interested me so I decided to come. Have you ever encountered someone saying that? Believe it or not, I have and I’m sure many of you have as well. 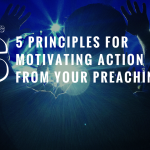 No matter what some would try to tell you, many people do care about what is being preached – especially when it’s a compelling sermon series. If someone were to be a part of every week of the sermon series you want to create, what would they encounter, what would they learn, what would they be called to do, what kind of change would possibly happen in their life? Fleshing out these questions will help you create a compelling sermon series that is life-change oriented. You’ll want to do this for each individual sermon as well, but you’ll want to start with a bottom line for the entire series. This takes the whole series and boils it down to a memorable statement. It will take some work and some word crafting but it’s worth it. Doing this not only helps the congregation in taking the sermon with them throughout the week, but it also helps your creative team in the preparation stage. If you have people who create graphics, intro videos, promotional material, etc. this will help them tremendously in capturing the essence of the series in these different mediums. If you don’t have people who are doing these things and you are the one who does it, it will help you in creating them. What are the problems in life, culture, etc. that this series resolves? These are the tension points in your series. When you are able to identify tension points, you create engagement. This is exactly how great stories are created. The book or movie opens with a scene and within 5 minutes there is a problem that is presented. You can follow this same thing throughout your series, but you have to identify the tension points first. Then, like every great story, the tension is resolved, and we preachers do this with the most dependable story – God’s story. Once you’ve identified the tension points in the series, you can better craft each sermon introduction. I’m sure you have a good gauge as to where your congregation is in terms of Biblical literacy and spiritual maturity, but you may be surprised that more people know less than you think. No matter how much we know our people, we don’t know those first time visitors who are hopefully showing up each week. The norm for today is biblical illiteracy. Research has shown that it is on the rise and we must be aware of it because it shows where we need to start in our sermons – the ground floor. Don’t assume people know any stories from the Bible. Don’t! Please! Growing up I didn’t know the story of David vs Goliath outside of the reference in sports of an underdog story. Seriously, don’t assume people know things in the Bible. Many don’t. So when you are creating your next series, keep in mind that you may need to add an extra week to lay the groundwork for the rest of the series. The further ahead you can work the better when it comes to creating a compelling sermon series. 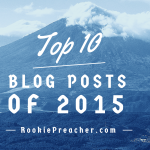 We make it a point to plan a year of our sermon series. For all of 2016, we know what is coming – we know the scripture text for the majority of the year and the basic outline for the rest of the year’s series. Whether or not you plan a year ahead with basic outlines, I believe the best timeframe to be ahead for each sermon series begins at 8 weeks. This will allow your creative team (whoever that may be, maybe you?) time to create promotional material, graphics, etc… I highly recommend you work through this timeframe with a small team of people who meet weekly regarding sermon planning. 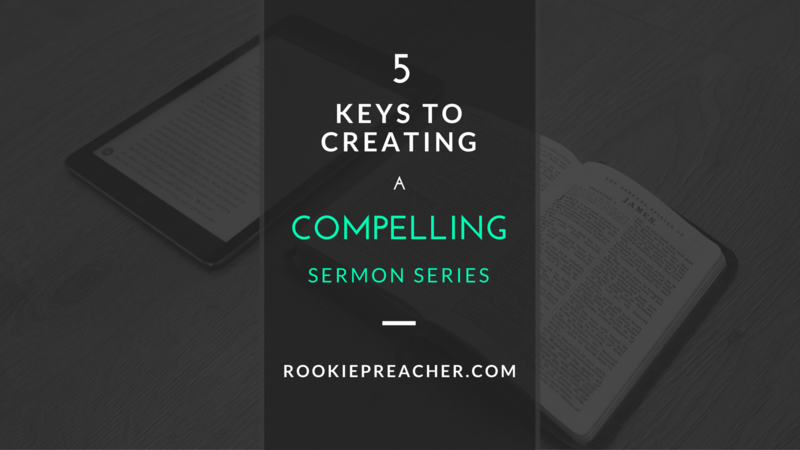 What keys to creating a compelling sermon series would you add? I’d love to hear from you! Leave a comment below or connect with us on Twitter or Facebook (group | page).